New services are now available! I have been taking a break from client based services for several months so that I could focus on developing my education for my students, but I have completed the curriculum and have now opened the doors to new services! 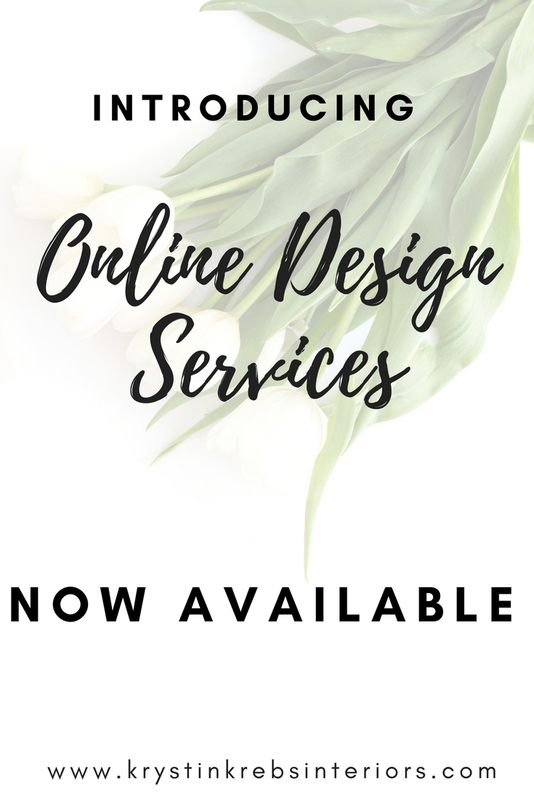 I am introducing two new services: Online Design and Decorating- so you can live anywhere in the U.S. and still get that "Krystin Krebs Interiors" signature style. I am also introducing "Design Advice" with me! You can shoot me an email and ask me all your burning questions about design, your space, colors, etc. and I will personally respond to you with all the knowledge, sources, and information that I have available. What are you paying a designer to do? What are you paying an interior designer to do? Translator between you (the client) and the contractor or trades person. Feng shui is one of the basics of design which most designers learn about while in school, which studies the pshycology of human behavior within a room. This helps designers be able to identify the elements of feng shui that all create an atmosphere within a room. Feng shui can sometimes include crystals and other elements that may seem a little “out-there”, but the important part of feng shui is not the elements added to a space, but how you feel within the space. In my personal opinion, I think adding crystals to a room can be a little “out-there”, but it all comes down to pschycology. If you believe that adding a crystal to your room will make you feel less stressed/have more money/have better health, etc. then you are giving the crystals more “power”, and it may work for you. I get asked this question; "What does an Interior Designer do?" 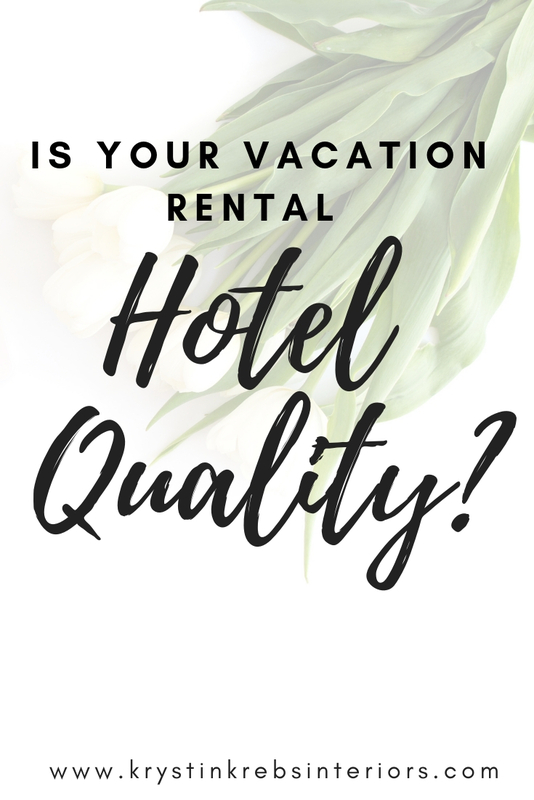 more often than most, and the answer really will vary depending on the project, the scope of work agreed on, and the people involved in the project. I have broken down what each design phase looks like during a project in hopes that this will become more clear to my readers. Below is a synopsis of each phase which is intended to help you understand the design process. Initial job-site visit to Measure and photograph the existing spaces (to prepare drawings as needed). Project Vision: Discuss the project’s specific needs and preferences with client. Prepare conceptual design based on project vision/clients needs and preferences. Develop floor plan furniture layout. Develop Distinct Design Concepts for client to choose from. The schematic design is developed and drawn from the approved preliminary concepts presented in Phase two in which documents ( initial space and furniture plans, lighting concepts, concepts for color, materials, finishes, and the selection of specific furnishings) are prepared for use in the schematic phase. Develop and Present all Design Details Including Soft Goods (Pillows, Bedding, Rugs, Drapery), Art, Accessories, Household items (as needed). The Specification Documents shall describe in detail the following information to properly establish a budget for the areas within the Scope of Work. Note: The drawings and documents prepared by the interior designer remain the property of the design firm and cannot be used by anyone else for any purpose other than the completion of the project by North of Boho, South of Chic. Upon completion of construction documentation any additional changes will be performed on a time and expense basis in accordance with our standard hourly rate schedule listed below. This phase is an extension where all architectural documents and preliminary furniture specifications are prepared for approval and implementation. The floor plans are not intended to be architectural permit plans which would be submitted to the building department. They are to be used by the client, contractor, and architect for design intent, non-structural layout, and fixture locations only. It is understood that all items specified will be purchased in accordance with this design agreement; by the client, through the contractor, or through North of Boho, South of Chic. If purchasing through North of Boho, South of Chic, a separate Purchasing Agreement will be presented before purchasing begins. North of Boho, South of Chic will purchase all approved FF&E for the project (unless otherwise specified) as agreed upon in the purchase agreement. Custom purchases: Custom items are described as a manufacturer's standard design (including but not limited to size and shape) which can then be adjusted with made-to-order details (including but not limited to finish, fabric, color, size, etc.). All custom orders will require the client’s signed authorization as well as the total price for each item prior to placing the order. The client shall be responsible for the payment of sales tax, packing, shipping, receiving and any related charges on specified purchases of merchandise. Warranties and guarantees on all goods and services shall be only to the extent of those provided by the manufacturer, vendor or supplier. Not all merchandise has a warranty. Some warranties are offered at a separate and/or additional cost and can vary based on each manufacturer's policy. The client is solely responsible for filing all claims against warranties offered after installation. North of Boho, South of Chic will not be liable for any damage due to shipping, errors, mistakes or misrepresentations on the part of the vendor. Designer shall not be held liable for purchases made prior to physical inspection/measurements are taken at the project site as actual measurements. Client understands and agrees that the designer/North of Boho, South of Chic can not guarantee the outcome of any insurance claim for damaged items. All Sales are Final. No Returns or Exchanges are permitted after the purchasing agreement has been signed by the client. Client understands and agrees that Designer cannot guarantee the availability and the prices of any items in the Purchase Proposal be still obtainable at the time of Client’s written approval of the Purchase Proposal. If any item becomes unavailable, Designer will propose an alternative item that is compatible in design and pricing for Client’s review and approval. Cancellation of items in progress (if possible) may incur charges according to manufacturer's’ specifications. There will be an additional 10% charge levied by the Designer for paperwork, and follow-up on cancelled items. A. Designer shall coordinate the deliveries of the materials for the Interior Installation and the Merchandises including but not limited to shipping, handling, storage, insurance, and installation delivery coordination of third parties. Estimates for these services will be provided to the client prior to install, after all purchases have been made and delivery schedules can be established. B. Designer may request Client or Client’s Representative to review and approve setup of the partial Interior Installations or Merchandise during the Project. Client agrees that Client or Client’s representative shall cooperate with Designer’s request in a timely manner. Without such review and approval by Client or Client’s representative, the Designer may suspend further services at Designer’s sole discretion. C. The Designer shall oversee the installation of the Interior materials, furniture, fixtures and equipment by third party service providers at the Project Site. However, Designer has no obligation to remain or supervise any third party activities at the premises. Designer will not be held responsible for the means, methods or procedures of construction, fabrication, delivery, installation, or safety precautions in connection with the third party or their affiliates. Find Out What Interior Design Style is Best For You! There are so many different types of Interior Design styles, it hard to keep up. So I have outlined some of the most common (and some of my favorite) styles to help you narrow down your favorite style! The mid-1900s produced some of the most iconic pieces in modern design. Often referred to as Mid-Century Modern because it derives its influences from the modern art movement that preceded modern design, it is characterized by refined lines, minimalist silhouettes, and natural shapes. Woods, plastics, glossy metals including stainless steel and glass are common materials found in Mid-Century Furniture. Tip: I would recommend mixing in elements from other design styles to keep your home looking fresh. Industrial design is popular for decorating lofts and old buildings converted into living spaces, although it can be used for traditional apartments and houses too. What you need for this style is to create an illusion of rough surfaces and materials that suggest an industrial past. The simplest way to show roughness is to leave some walls or surfaces unfinished. Exposed bricks, steel beams or columns, exposed concrete, unfinished wood, and stainless steel work well for this style. In addition to some rough metal elements that will create an industrial atmosphere, you are looking for old industrial-looking objects that are made from steel, metal or wood. These items are preferably worn down or have been salvaged and recycled. Your color palette should steer clear of bright, bold colors; instead you should look for warm, neutral tones to fill your space. Shades and tones of gray work well when mixed with white to add a crisp, clean look. Tip: Industrial decor ranges from modern rustic with cleaner lines to rugged vintage with elaborate ornamentations. Depending on your tastes, you can opt for a lighter, chic look or a darker, antique design. Not sure what natural coastal looks like? Think New England beach house and you would be on the right track; unfinished or light color woods, white furnishings, soft linen fabrics, woven-wicker decor. Accents often include found objects from the beach like seashells, glass, jute rope, sailboats, navigational maps, and even rowing oars. This interior design style is based on white or sand colored foundation, with a range of blues as the accent colors. Tip: Don’t go overboard with any theme. Pick a few keys pieces for each room and let those pieces nod to your style. Your room doesn’t need to scream “Under the Sea!” when you walk in, otherwise it will feel like you are at a theme park. Traditional Design covers anything from 1700’s-1900’s and includes many different styles like French Victorian and Baroque, Greek/Roman, Italian Tuscan, American Colonial- all of which reflect classic European decor. Trademarks of this style generally include deep wood tones, architectural details, and elegant furnishings. One of the most important facets of traditional interior design is the silhouettes, also called the lines, of the furnishings. Wing-backed chairs, claw footed tables, and curved furniture pieces are examples of this. Common models for such traditional furniture are pieces attributed to the Queen Anne or Chippendale styles. Antiques are also often integrated into this design style, but many companies sell new pieces that mimic the lines of the old. Dark woods like cherry, maple, and mahogany are typically used in furniture pieces of this style. These are often carved and lacquered to give them a luxurious, elegant feel. Wood floors are also considered a standard for this decor, although tile and carpet are often used as well. Architectural embellishments are widely used in this type of interior design. These can include elaborate moldings, beveled wood paneling, and intricate tile and wood floor patterns. Arches, columns, and built-in cabinetry are also frequent features of this type of design. Tip: Traditional Design is all about creating a sense of charm and history through old eclectic pieces. By adding antiques, collectibles, flea market finds, and estate sale items you can develop a vintage atmosphere. Already have traditional furniture, but want to give it an update? Simply change the fabric to a more modern print or solid, or paint the frame a color- perhaps bright green, or maybe just white, you pick! An off-shoot of the mid-century movement, Scandinavian design was introduced in the 1930’s. Although most people associate it with IKEA, there are a variety of subset looks within Scandinavian design itself. there are two interior design styles that are Scandinavian design: Scandinavian Modern interior design is centered around warm functionality, clean lines, flawless craftsmanship and understated elegance. Whereas Scandinavian Country interior design (Sometimes referred to as Belgian Interior Design to differentiate it from the Modern Scandinavian style) is a mixture gentle contours, playful accent colors, and a balance of engineered and organic materials. Many Scandinavian-styled homes are characterized by the use of earthy muted tones, natural materials and minimal ornamentation. Tip: To stay truly Scandinavian stick with light colored woods, minimal metals, strong lines, and neutral colors. Bohemian decor captures the free spirited, adventurous collector’s lifestyle. It features rich patterns, vibrant colors, and layers of textiles (tapestry, pillows, throws, rugs). The furniture is often handmade or vintage and has a history or story which makes it uniquely personal to whomever possesses it. Often these types of furnishings are ethnic or tribal inspired like Moroccan, Southwestern, or Indian. Tip: Look for color-rich textiles, a variety of wood tones, animal hides, and warm metallic accents like gold, copper, or brass. This style is known as several styles: Rustic, Shabby Chic, and Farmhouse. It is mainly cabin-inspired, with some traditional French Provence elements mixed in. The furniture is characterized by family heirlooms, flea market finds, DIY projects, folk art, collections, found items and vintage pieces. Often the wood furniture is distressed wood or covered in sanded milk paint to show signs of wear and tear. The fabrics are often neutral color linens and cottons. Tip: Get some dried lavender bunches and other greeneries and place them in vintage vases to add a little charm and great scent to your home. The rustic shabby chic farmhouse look often features wooden beams and columns as well as hardwood or stone flooring. If you don’t have these elements in your home, it is possible to put up faux beams or columns to achieve the look. One of the most important elements in modern interior design is form. Modern design uses geometric shapes, including rigid squares and rectangles along with smooth curves (“clean lines”). Perfect circles and ovals are also common in modern interior design. Walls are minimal and often empty, and colors are usually very neutral with a few pops of color. Art is also usually very large in scale and minimal. The less furniture the better! Think of which furniture can be eliminated without sacrificing comfort and livability. Floors can generally be anything (hardwood, concrete, etc. ), but should be completely clean with one rug to add color and create a focal point for the room. Modern Design is all about spare and streamlined while still being inviting, so the less clutter to wade through and mentally process, the more beauty of each piece of furniture really starts to stand out. Tip: Choose a general muted color to be the default of your space, and an accent color or two to highlight furniture and other accessories. Keep your space very minimal, keep only the essentials and store everything out of sight. This means you will most likely need to get creative with storage. When you are out shopping think of all the “hidden” places you could put storage containers – under the sink, under the bed, under the sofa, etc. Keep all surfaces clear and free of clutter. Ethnic Design refers to anything with strong tribal patterns including Native American, Mexican, Indian, Moroccan, and many more. All of these ethnic styles have a common use of rich colors, dynamic contrasts, traditional patterns, and the unique decorations and accessories. Exotic plants, tiles and textured walls all tie the experience and “ethnic” atmosphere together. These styles can often be found blended together in Bohemian Interior Design. Tip: The quickest way to incorporate ethnic interior design is by using bright and colorful wool rugs, kilims or thin large rugs with traditional geometric patterns. Stick to deep, burnt shades rather than bright, bold colors for a warm look. Also use fabrics that integrate pattern and textured into your space. This style is mainly associated with the World War I to World War II time periods, this style embodies the essence of the Roaring 20’s, exuding bold and flashy elegance. The most defining aspects are polished and shiny chrome or brass fixtures, geometric shapes, angular patterns, and bold curves. The furniture was often dark lacquered wood, and glossy paint combine for a slick and gleaming effect, sometimes with mirrored pieces attached to the surfaces. Fabrics were usually a mix of vinyl, silk and sati. Tip: Choose rugs, carpets and upholstery with geometric, rhythmic motifs. A Mixture of all the following styles: Traditional, Mid-Century, Transitional, Bohemian, Hollywood Regency, Modern, Industrial, Rustic Shabby Chic Farmhouse, Natural Coastal, Contemporary, and Scandinavian. This is the most popular style in America. It is the type of furniture that you find most commonly at Pottery Barn and Ethan Allen. It is a refined take on traditional shapes with round, soft curved lines. Contemporary Interior Design consists of straight lines, sharp corners, wide curves, sphere shapes, bold monochromatic solid colors, high contrast, minimal walls, and mixed metals. It has refined the shape of traditional furniture so much that it borders on Modern design with its simplified shapes. This style is the second most popular style, next to transitional, since these furnishings can go with just about any design.